Submitted by Jason Horton on Oct. 25, 2017..
NB: The CD-60 All Mahogany has been discontinued by Fender but we've left this meta review available for those who have found a shop with old stock or those who are considering buying it second hand. For our current recommendations please read our guide to The Best Acoustic Guitars. The CD-60 line is one of Fender's most popular and this all mahogany version has become quite popular as well judging by the number of positive customer reviews it has been accumulating -it has the same street price as the standard CD-60 but is rated much more highly. It ships with a hardshell case in North America. I would paraphrase the most common praise this guitar receives as 'it has a warm and rich tone'. There were also quite a number of customer reviews that talked about how good the finish looks with several saying that the online photos don't do it justice and that it looks much better in person. There were no consistently reported negatives in customer reviews about the guitar itself, however there were a few people who complained about quality control on the hardshell case bundled with it with some saying the inside liner was coming loose. 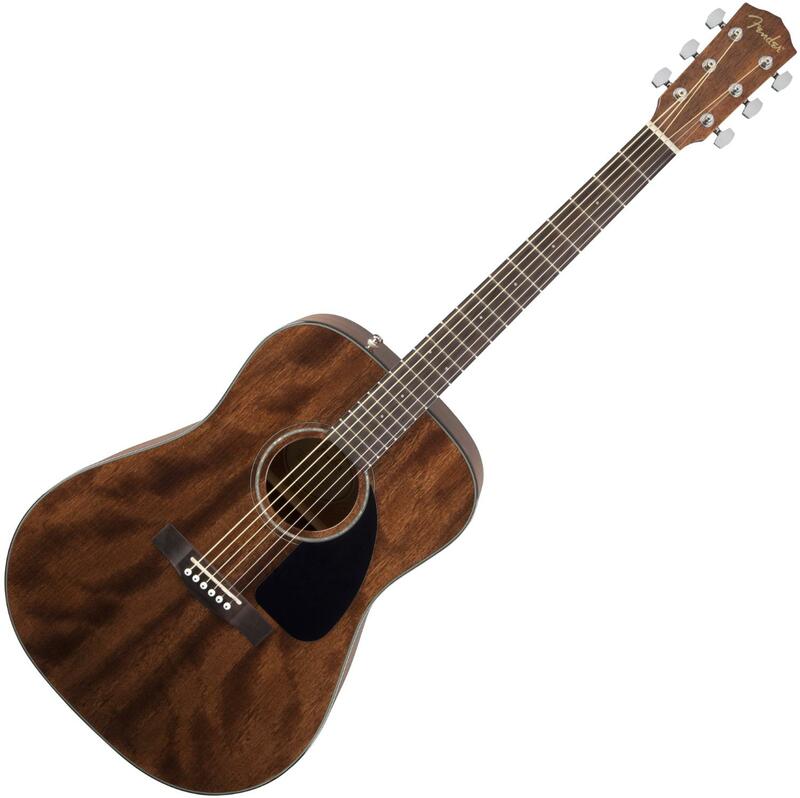 Although Fender does make the cheaper entry-level FA-100 which usually sells for about $100 less than the CD-60, after having read the customer reviews I believe the CD-60 All Mahogany offers much better value for money.